Dame Rose - After giving it plenty of thought, I’ve made peace with having a few quid on this nice mare at a big price for the Festival opener. She was ridden all wrong on tacky ground the last day and is much better than that, and much better when ridden confidently up with the pace. She went off at 3/1 for the Grade 1 Challow Hurdle when running no sort of race before that, but a line can be drawn through it handily enough. On soft ground which she handles and in receipt of 7lb, Richard Hobson’s mare wouldn’t be far away here with a repeat of her 9 length Newbury romp over Cap Soleil back in November. Richard Johnson would’ve been a bonus, but Jonathan Burke will be confident on the back of his win on Pete The Feat at the weekend and is a fine rider. Richard Hobson is a very good trainer too and unlike others having to travel their horses in poor weather etc, his yard is little over half an hour from the track. Hopefully this mare turns up raring to show the boys a clean pair of heels and give me a run for my money. The above is a bit of a fantasy result, but I think she should be 33/1 and not 66/1. Getabird would be my pick for most likely winner, while Kalashnikov is solid if transferring Newbury form. Soft ground brings First Flow into it if his jumping holds up (came close to being a selection, just not sure about his jumping early on), the likes of Summerville Boy and Paloma Blue also have each way claims, but in truth there’s nothing too worrisome outside the top two and I'm happy with my mare. Shantou Flyer, Cogry- Shantou Flyer is another Hobson trained horse, this one bringing a proven track record of running well around here. Bumped into a progressive horse at Kelso but looks over-priced back at a track he likes and the ground will be grand for him too. James Bowen claims 3lb. Cogry also has a pretty good record around here and is another locally trained horse. Nigel Twiston-Davies is a man to watch out for this week, particularly with the mud flying and Jamie Bargary claiming 3lb off 10st 9lb with the horse trading at 25/1 makes him hard to ignore. Elgin - I would love to see Faugheen back up our ante post faith back in November with a big run from the front here and all the vibes are he’s showing the right signs and who knows, cheekpieces may just sharpen him up a bit. Buveur D'Air will be very difficult to beat, but equally the race does have a good each way feel to it - there are several good horses in the Champion Hurdle trading at working man prices. Wicklow Brave & My Tent Or Yours are solid but have been around the block a bit, while Yorkhill & Melon have the ability to figure but have their own demons to face on the back of some poor runs of late. I’ve been an Elgin admirer for some time and he has grown into a proper 2m operator now, more than could’ve been expected of him. He was very impressive at Wincanton and Call Me Lord backed up the form with a huge run at Sandown on Saturday. Alan King is convinced his 6yo is still improving and nothing visually suggests he can’t find another few pounds required to get involved in the 3.30pm showpiece on Tuesday. 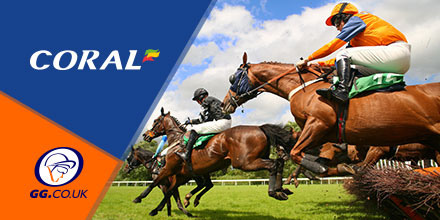 He won snuggly when racing wide throughout in a very good race at Cheltenham back in November, in a race dominated by low weighted horses, but in behind were the likes of The New One, Jenkins and Chesterfield along with several other no-nonsense handicappers. Soft ground isn’t an issue and I’m happy to have a young, in-form and progressive hurdler on side at healthy odds. Faugheen and Elgin are the main shouts against the favourite, but I may have a bonus nibble at Identity Thief at 80/1 as well. La Bague Au Roi - I backed this girl NRNB for the Stayers’ and she’d have been a compelling contender there getting 7lb, but I can’t neglect her here on the back of such a polished performance at Ascot last time out. She jumped excellently well there and would only be a few pounds behind Apple's Jade’s best on that evidence. Fluffed her lines in the Mares’ Novice race last year, but is a different proposition now for my money, particularly with testing ground likely, she stays very well but has class and can go very close under the Champion jockey. Shades Of Midnight - Fagan has been taken out and Sizing Tennessee would’ve been more of a bet on much better ground, so all of a sudden the top of the market are much of a muchness and the inclination is to look further down the prices. Impulsive Star went off favourite for the Pertemps here last year and is interesting at 25/1 on the pick of his form, but I just wonder is he good enough, even if jumping around. Shades Of Midnight is a few clicks bigger with most bookies at 33/1 and may just have what it takes run very well. He’s only had three chase starts and is yet to win one, but he ran up to an RPR of 144 in a Grade 2 at Wetherby last month and produced a sound Topspeed speed figure in the process. Again, he is one who will appreciate the rain softened Prestbury Park turf and if the step up to 4m brings about any improvement, he could break his duck on the biggest stage of all! Others may be more progressive, but at 33/1 I can’t resist having a few quid on this outsider under the conditions. 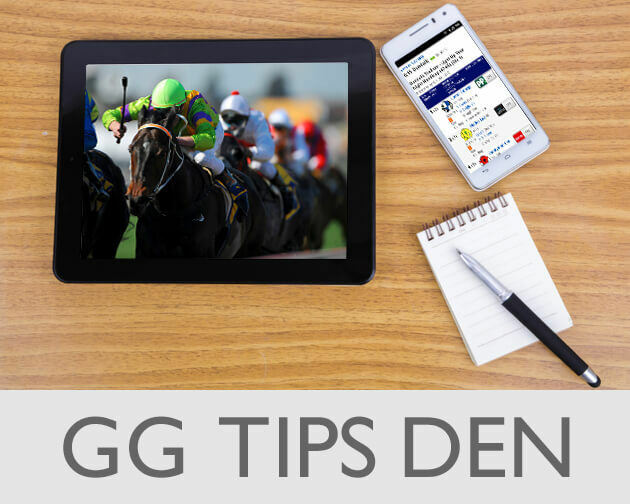 Mister Whittaker - The last of a clean sweep for UK trained horses in the GG Tips Den, which is a bit of a surprise, but it’s just the way things have unfolded in recent hours! Although my eye has been on this fella since his win here on Trials’ Day. Mister Whittaker may well improve for better ground, but is very progressive nonetheless and probably found himself in front too soon last time out when romping away from Theatre Territory and Sizing Tennessee; which isn’t bad form. With the benefit of that experience, Adrian Heskin can now ride more of a race on this sound jumping 6yo, He’s surely much better than a official rating of 137 and at 12/1 he looks the value in the race, to provide a famous Cheltenham Festival winner for Mick Channon.